Municipalities and public institutions are concerned about air, water, noise or lighting pollution in cities. In the last years, it has become mandatory through several international regulations to reduce emissions that could impact in the environment and also inhabitants lives. Being a Smart City is more than just a trend, is a commitment with society and stakeholders. Carbon Track and Trace Project (CTT) aim is reducing CO2 emissions, combating climate change in cities and also developing a decision support system for cities greenhouse gas (GHG) emissions monitoring. It was funded by the Low Carbon City Lab flagship of the EU Climate KIC programme. 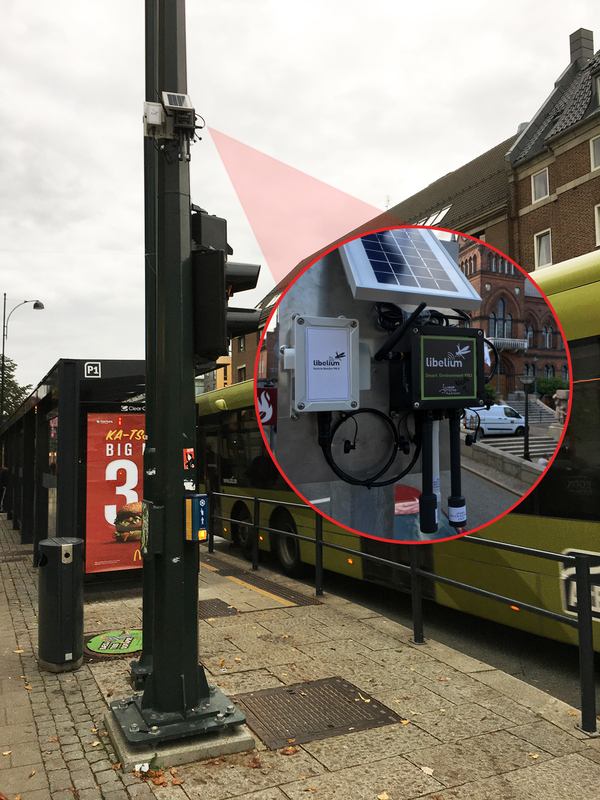 The Norwegian University of Science and Technology (NTNU) has led this project based on wireless sensor networks with Libelium Waspmote Sensor Platform. 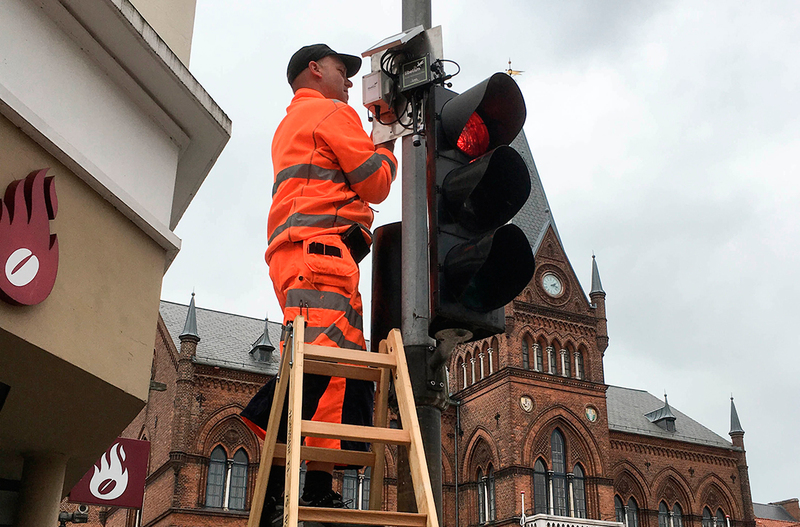 The Smart City plan has been deployed in two Nordic municipalities as test beds: Trondheim (Norway) and Vejle (Denmark). 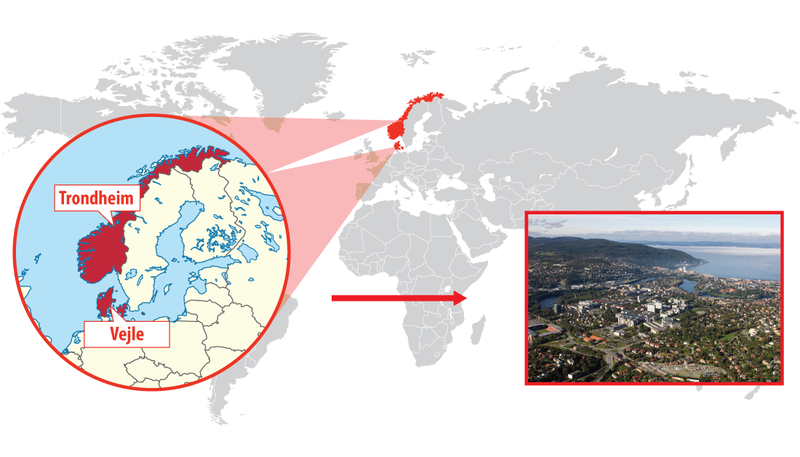 The first stage of CTT project revealed a significant gap between Norwegian municipalities’ current methodologies and official standards for greenhouse gas emissions (GHG) monitoring and reporting. This difference was also detected in worldwide cities. Current phase, CTT 2.0, has focused on developing an automated system for GHG emissions monitoring and reporting, through the use of bottom-up sensor-based measurements. 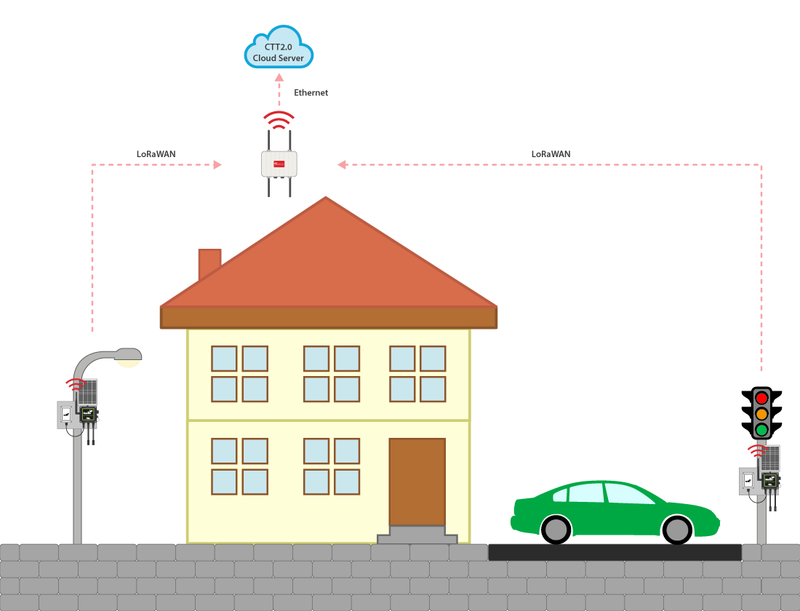 Wireless sensor networks deployed in Trondheim and Vejle are based in Plug & Sense! Smart Environment PRO, a platform that features maximum performance sensors for metering that require accurate ppm or percentage and are able to read up to 16 gas sensors. 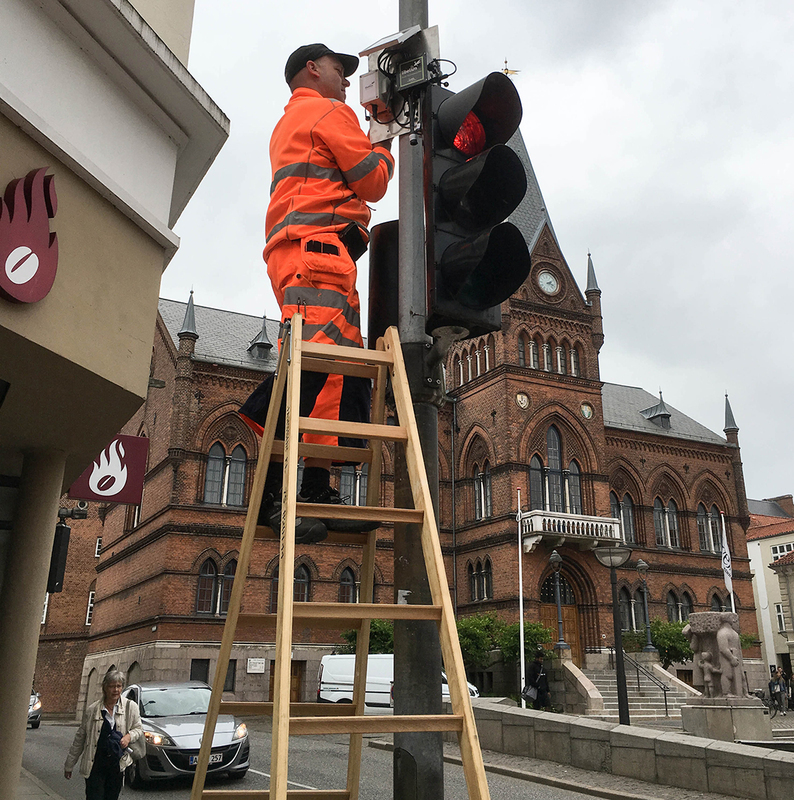 For this deployment the sensors installed have been: carbon dioxide (CO2), nitric oxide (NO), particle matter – dust (PM1, PM2.5 and PM10), temperature, pressure and humidity. Communication between Waspmote Plug & Sense! nodes and gateways is done through LoRaWAN, while the gateways communicate with the cloud through a common Ethernet wiring. CTT2.0 currently uses The Things Network as a cloud backend which is an open-source community aimed at creating a global IoT network based on LoRaWAN. The application developed to visualize data is CTT Urban Overview that allows monitoring the network itself and also data analysis. 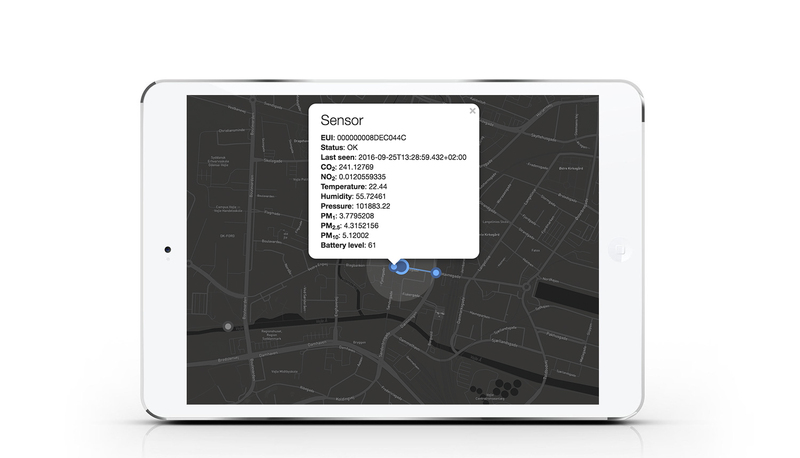 Data is taken from sensors nodes as well as external information sources and is used to analyze and calibrate the measurements and conflate them to build a detailed overview of emissions in the city. Trondheim and Vejle wanted to get a platform to visualize the information and allow the analysis of the measurement data. This valuable information is helpful to know in real-time gas emissions and pollution levels to meet environmental regulations and get feedback about mitigation actions. “The main goal of CTT2.0 is to provide a city with an automated system for GHG emissions monitoring and reporting, with the requirement of direct feedback of the city’s emissions reduction initiatives. Thus, an accompanying goal is integration of CTT2.0 into a city’s decision support system“, affirms Fredrik Anthonisen, Technical Manager of CTT Project. This project wants to provide municipalties and public institutions with an open system to allow inhabitants know what happens in their cities in relation to GHG and pollution. The platform will offer open data not only for citizens but also for research institutions or companies to develop other projects. Libelium CEO, Alicia Asín, refers to the benefits of cities opening up their data: “this influx of information can lead to more transparency. If the billions of sensors that populate our smart cities generate open data, we should be able to make decisions based on fact, and hold public officials accountable”. Slider and Thumbnail image: “By Trondheim Havn from Trondheim, Norway (Nidelva utløp Trondheim” uploaded by Beagle84) [CC BY-SA 2.0]. Trondheim (Norway) and Vejle (Denmark) image by Erik_Børseth from NTNU. CTT Urban Overview giving information from a node deployed in Vejle image by Department of Telematics, NTNU.